Begin your rail journey in Chicago as you explore the beauty of the Northeast on your way to Washington D.C. You'll have an afternoon free to explore the capitol city before you board the Silver Meteor on its way south to Florida. In Miami, you'll begin the cruise portion of your trip on the expansive Celebrity Infinity®. Your home for 16 days, this ship offers everything from dazzling casinos and nightclubs to relaxing spas and exquisite fine dining. 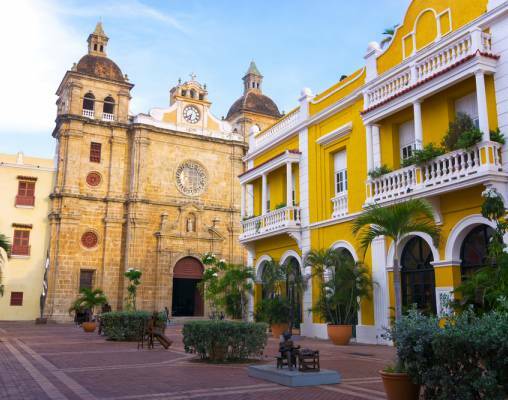 Your first port of call is the historic and quaint village of Cartagena, Columbia, where you are free to explore on your own or join a tour. Once you reach the Panama Canal and move from the Atlantic to the Pacific Ocean, be sure to take in its surrounding wildlife. 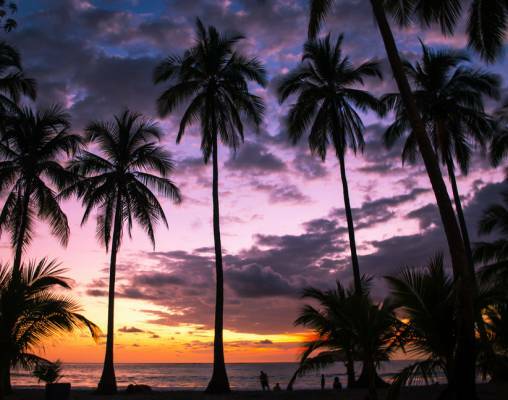 Next stop is Puntarenas, Costa Rica, a surfer's haven. Whether you spend the day on a tour or explore on your own, be sure to try out the fresh seafood. You'll soon reach Guatemala, where you can explore the area or hop on over to Antigua for a quick visit. 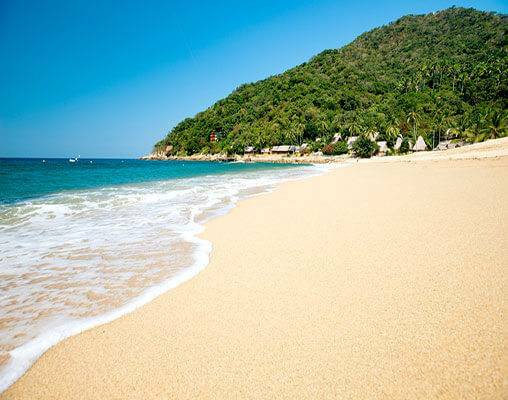 Then enjoy the Mexican culture of Puerto Vallarta and Cabo San Lucas. Both cities offer fantastic beaches, adventure, and art. 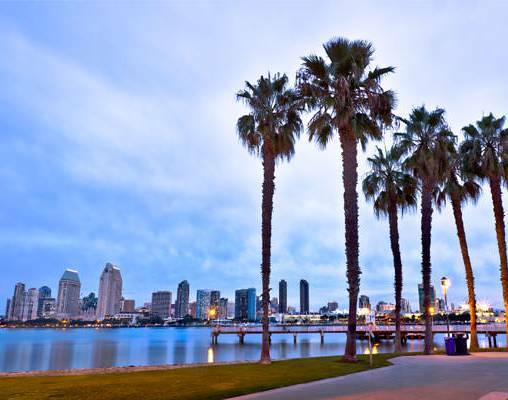 Wrap up the cruise portion of your trip in sunny San Diego, with a visit to its famous zoo. Then relax on the last leg of the tour as you return to Chicago via rail. Visit world famous San Diego Zoo. Round-trip transportation by Amtrak, Celebrity Cruise Lines and connecting motorcoach. All gratuities are included: rail, cruise (including service charge) and motorcoach. Wonders of the Panama Canal tour members will meet the Tour Director in Chicago’s Union Station. At 6:40 p.m. we’ll depart on the Capitol Limited for Washington, DC. This train features double-decker Superliner equipment. Relax in your comfortable reclining coach seat with leg rest. Roomettes or Bedrooms may be available at an additional cost. Go to the glass-walled Sightseer Lounge car for spectacular viewing. You will enjoy spectacular scenery along the white water Youghiogheny River and the climb over Sand Patch, the highest point of rail service in the Northeast. We’ll arrive at Union Station early afternoon and enjoy an “on-your-own” lunch. This stately building is much more than a train station. There is an expansive food court, six full-service restaurants and more than 100 specialty shops on three levels with everything from jewelry and apparel to gifts and boutique items and much more. A walk outside the station provides a view of the United States Capitol Building and the historical United States Postal Museum is just across the street. We’ll depart on the Silver Meteor at 7:25 p.m. for Miami. This train features Viewliner equipment. We’ll be rolling across northern Florida this morning. You’ll be amazed at the large cattle ranches, citrus groves, and other interesting scenery our train will pass by. Upon our evening arrival into Miami we’ll transfer to the Courtyard Marriott Coral Gables, our home for the evening. This morning we’ll transfer to the Miami cruise terminal where we’ll board the beautiful Celebrity Infinity®. This ship is filled with innovative features and luxurious amenities. Swim in one of the sparkling pools or shop the boutiques or get a massage in the Canyon Ranch SpaClub®. Dine in one of the dining rooms or specialty restaurants. Following a luncheon buffet, you can relax or explore your beautiful home for the next 16 days. Sailing is scheduled for 4:30 p.m.
From traditional fine dining to endless buffets, the Celebrity Infinity features 16 dining options including a Bistro on Five, Murano exquisite fine dining, Qsine which offers a 360° view, Tuscan Grille, Ocean Café Grill and other specialties. Do as little or as much as you care to. Pamper yourself with a massage at the Canyon Ranch SpaClub®. Shop the Trade Routes Boutique for duty-free liquor, designer clothing and gifts. Head to the internet café or library. There is a jogging track and fitness center for those looking to work off some of the fantastic cuisine. Catch up on your favorite team at the Sports Bar. Enjoy a latte at the Café al Bacio & Gelateria. The Rooftop Terrace gives you a chic new way to experience the great outdoors, with creative cocktails, favorite snacks, and movies alfresco. Try your luck at the Casino featuring a variety of table games, slots (including nickel slots for the not-so-high roller), video poker, etc. Other activities include bingo, crafts, art auctions, pool games, trivia, wine and cocktail tasting and that traditional cruise favorite, shuffleboard! Cobbled streets, balconies with blooming bougainvillea, and pastel plazas make Cartagena one of Latin America’s most photogenic cities. A fortress wall surrounds the historic village’s pastel-colored architecture, quaint streets and fine cathedrals, containing them like jewels. Stroll through the walled old town (Ciudad Murallada), shop the boutiques housed in what used to be dungeons and enjoy the rich history. Colón is the second largest city in Panama. There are numerous venues for shopping. 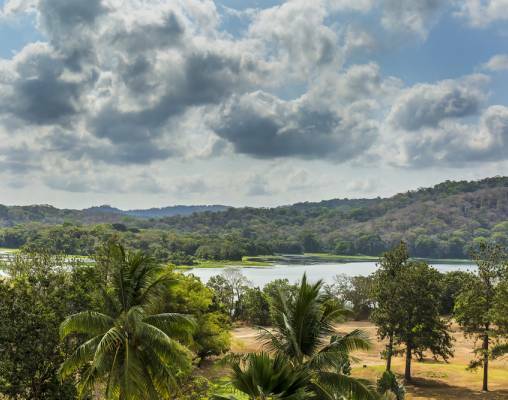 Colón is home of Chagres National Park, a 3,000,000-acre rainforest preserve, and the Gamboa Rainforest Preserve, which lies within Soberania National Park. 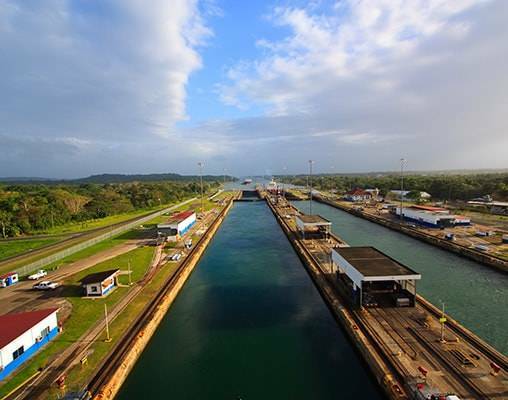 The Panama Canal isn’t just the quickest link between the Atlantic and the Pacific, it’s also the most beautiful! “The land divided, the world united.” It’s hard to imagine a more fitting motto for what irrevocably changed the world forever. For fifty miles the canal transects the exotic emerald jungles of Panama and gives one an appreciation of what a Herculean task it was to build this waterway before the advent of computers and giant earth movers. 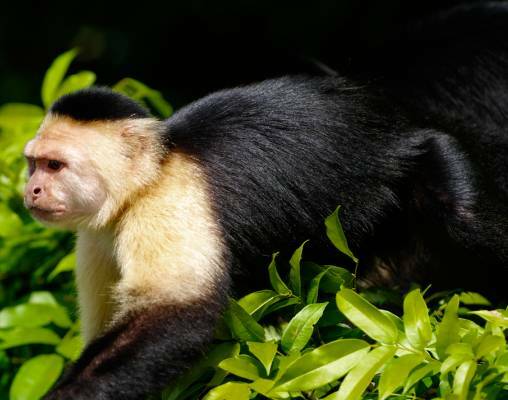 Located along the Pacific coast of Costa Rica, Puntarenas is a great place to see native wildlife ranging from scarlet macaws to the alpha predator of Central America, the jaguar. Surfers from around the world regard this region of Costa Rica as prime surfing waters. As one of the country’s leading fishing ports, Puntarenas is the perfect place to enjoy fresh seafood, including ceviche de corvine - bits of fresh fish marinated in lime juice with onions, peppers, and spices. This port city was constructed in 1984 to help connect nearby cities. Travelers often venture out to Antigua, a 90-minute trek to where 17th-century colonial facades beckon and Guatemalan history comes alive. Blessed with 25 miles of golden beaches within spectacular Banderas Bay, Vallarta presents limitless possibilities for enjoying the Pacific. Viejo Vallarta, the quaint Old Town, offers a mix of red-tiled buildings, cobbled streets, chic shops, and bustling open markets. It’s like taking a step back to a much simpler time. Many of the crafts are made by local Indians who have used the same methods for hundreds of years. The jewel of the Baja Peninsula, Cabo San Lucas has something for everyone. Like to golf? Several world-class courses will provide fun, challenge and breathtaking scenery for the novice duffer or the scratch golfer alike. Cabo San Lucas is famous for its marlin fishing. Anglers of all skill levels will find some of the greatest fishing in the world, with everything from private charters to huge party boats. Beachcombers can build a sand castle, parasail, swim or just relax and catch some warm Baja rays. The sports enthusiasts can enjoy scuba diving, snorkeling, rock climbing and many other activities. Today’s optional shore excursions include: Art and Culture of San Jose del Cabo, Cabo Luxury Sail, Cabo San Lucas Sport Fishing, Cabo’s Premier Yacht Experience. You’ll want to enjoy an early breakfast as we dock in San Diego today at 6:00 a.m. Upon disembarking from the Celebrity Infinity, we’ll board our deluxe motorcoach and transfer to the San Diego Zoo. The Zoo is one of the greatest zoological gardens in the world. First, you’ll take a tour of the entire zoo complex on a double-decker conveyance. You’ll have time to explore the zoo on your own. Following an “on-your-own” lunch we’ll board our motorcoach and transfer to the San Diego Amtrak Station where we’ll board a Pacific Surfliner for the 2:50 p.m. departure. Relax in your comfortable coach seat. Arrival into Fullerton is scheduled for 5:13 p.m. We will board the Southwest Chief for the 6:45 p.m. departure for Chicago. You’ll want to take advantage of the fascinating scenery of Arizona and New Mexico our train will pass through during the day. You’ll have time for a trainside walk in Albuquerque at noon. The Southwest Chief will roll across Northeast Missouri, a corner of Iowa and all of Illinois before our afternoon arrival in Chicago. Some tour members may change to trains bound for Midwest, Eastern, and Southern home cities. Others may spend the night in Chicago and fly home tomorrow. Enter your details below if you would like to be notified when 2020 dates and prices are available for Wonders of the Panama Canal.